No matter that it is a body damage on passenger cars or trucks, damage of the coating or coat damage due to aging, or corrosive damage, body repair becomes necessary in all of these cases. Maybe whole body parts need to be changed or repaired, alongside with the foundation and the polish. Thanks to the newest surface treatment procedures, the ingredients and the paints, today it is possible to create a surface matching the original color and quality of the polish. The multiple service shafts of the Elastic-car's polish workshop and the thermal camera equipped polishing cabin allows an effective work. It also guarantees a dust-free surface treatment, painting, color and surface quality that confirms to the polishing regulations. Polishing starts with preparing the car body part every time. 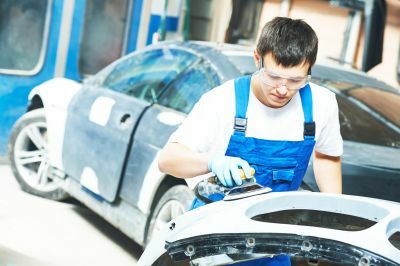 In case of a damaged part the autobody work's first step is the replacement of the part in case it is unrepairable or if it is uneconomical to spend time with it. The damaged part will be replaced by an original or by a remanufactured one. An important step of applying the foundation is the perfect gluing of the part, where it is important to use the fewest adhesive possible, so that the layer of the applied glue is thin. This is substantial since the different materials (metal, plastic, aluminium are the most commonly used) have different thermal expansion, so in case of a thick adhesive layer it will split and detach from the repaired surface in time. After and in between gluing / diffusive-gluing in order to help the drying we use an infra dryer which helps effectively by heating the particular area. The surface preparation is an other important step in the process where the body part's glue layer will be smoothened into level. This can happen by a machine or manually by hand. While in case of a manual chiseling we use sanding blocks and rubber plates of different size and shape, the mechanical version uses the totally automated modern chiseling system called webasto. The webasto chiseling system provides not only a professional surface for polish, but with the supplementary extraction device it guarantees a low dust-load both inside and in the vicinity of the workshop. 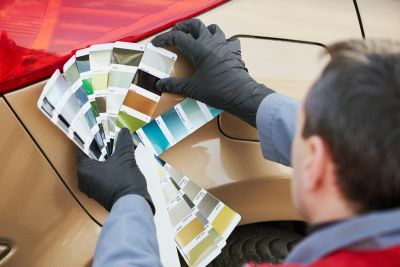 Before the final - dispersive - painting of the surface, it is an important step to identify the exact color of the car and to mix the proper colors. Mixing the colors is done based on the color code of the car by using a specific formula or a color scale. The color of the premixed paint is then tested by an experienced colleague using an airbrush to check whether it is the expected color. The adhesives and paints used in the polishing workshop are products of market leading brands, most of them are water-based so they don't mean a considerable threat to the environment either. The most commonly used paint-types are: acrylic, metallic, pearl white metallic, xirallic; the lacquer providing the polish of the surface is usually glossy, matte or scratch-resistant. The car polish is done in an environmentally conscious way in a heat chamber with water-based paints and dispersive technology. 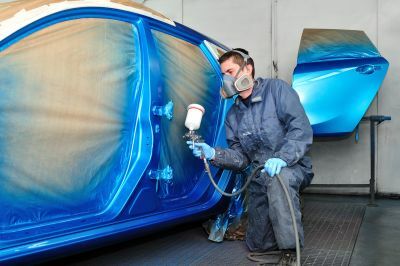 The car parts and / or the car to be polished, the car body will be put into a Blowtherm heat chamber, where the drying process can begin after the required number of paint-layers and lacquer were applied. At this point the temperature within the chamber is around 60-80 degrees. We maintain this temperature for ca. 30-45 minutes in order to allow the paint to dry. After the car or the painted body parts cooled down sufficiently the assembly can begin. Past the assembly phase the polish can be washed, but it is important to outline that the material's time of complete solidification takes up to 24-72 hours! 1161 Budapest, Mil�n utca 19. Do you have a question? We will call you back! Please give us your phone number and our colleagues will contact you within a short time. © Elasticcar.hu 2018. - All rights reserved!